igrishaev: Below, there is a Resident Evil 4 inventory. It's a metal case split on mini-slots. Each item takes its own number of slots depending on its nature. A gun would definitely take five times more room than an aid spray and it's quite realistic. Look how solid and bright is everything. There is no an auto-sort button. I've spent a long time sorting everything manually, for example when an optical sight takes three slots and thus doesn't fit next to items that multiply by two. Yet it's a lovely routine. 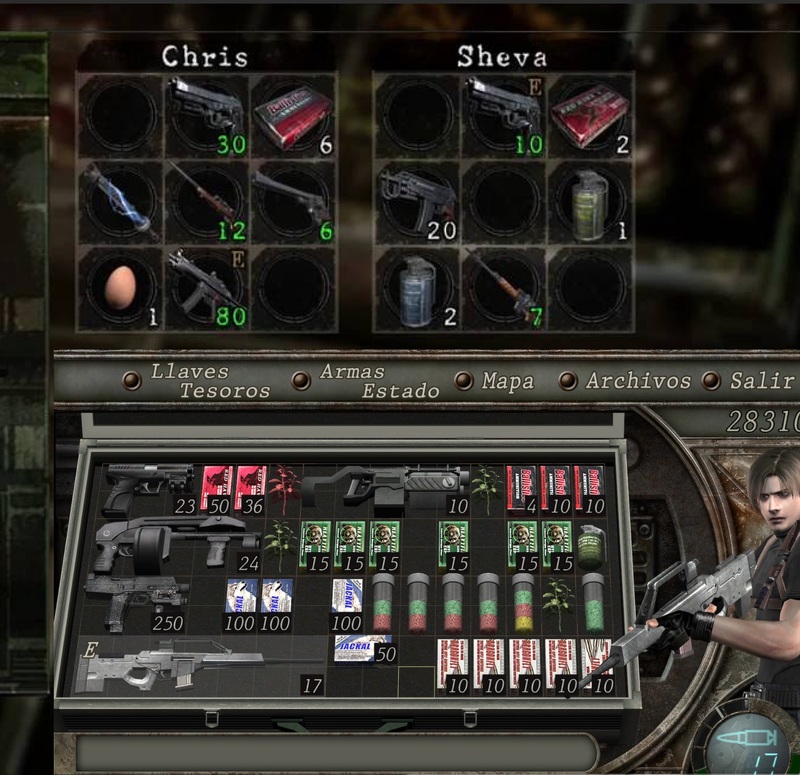 In some of the next Resident Evil episodes, the inventory reduced to a dull cell of slots. Now there is a primitive rule "one slot = one item" which is just silly. You've got to choose whether to put an egg or a flamethrower into that slot. What is worse, the icons are small and do not express their items well. You cannot stare and admire your secret gun anymore. Everything is standard and fit one slot. Boring!